Ask the average gamer what he knows about EVE Online and after the word “boring” and a spreadsheet joke or two, he’ll probably talk about stories of massive scams, colossal space wars and savage politics. Though EVE is well known for its cut-throat in-game universe, the shared struggles of players have created some very close-knit communities and enduring friendships over the years. Those online communities and friendships bleed into the real world for a few special days each year when the Icelandic capital of Reykjavik plays host to the annual EVE Fanfest. In-game rivalries are set aside, mortal enemies buy each other beers, and everyone celebrates their shared love of internet spaceships. Fanfest is an opportunity for CCP Games to interact directly with the game’s most dedicated fans, and is usually packed full of reveals, roundtable discussions, and player-run talks. EVE Fanfest 2016 kicks off in just a few days on Thursday 21st April and runs until Saturday 23rd, and Massively OP will be on the ground again this year to get the latest information on EVE Online, Valkyrie, and even some brand-new projects. The event schedule has been released, and it looks like there are also some fantastic player talks, panels on recent and future changes, and feedback-gathering roundtables. As usual, there will also be plenty of opportunity for interviews and posing questions to CCP and players. In this edition of EVE Evolved, I dig into the EVE Fanfest 2016 schedule and see what there is to look forward to this year. If you have any questions you’d like to be posed to CCP or even other players, let me know in the comments! 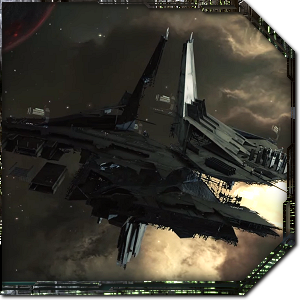 CCP revealed the broad details of its impending structure revamp at last year’s Fanfest and filled in the fine details of the Citadel expansion at EVE Vegas 2015. The actual expansion is due to launch on April 27th, so we’ve already seen everything that’s coming in it. The recent Citadel mass test on the test server even demonstrated a full-on fleet fight over a colossal Keepstar citadel. After the Fanfest opening ceremony on Thursday are the Updates on New Eden talk and the EVE Online keynote speech, at which we’ll probably get a summary of what’s in Citadel and what comes next after it. 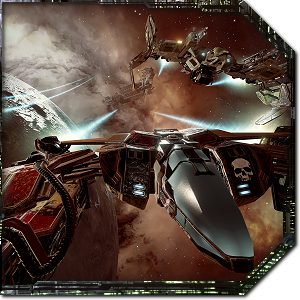 CCP’s virtual reality dogfighter EVE: Valkyrie was first unveiled to the press and general public at EVE Fanfest 2013, and every year since then it’s had its own dedicated demo section. It’s been fascinating to watch the game develop from event to event, but this year will be special as the game officially launched less than a month ago. There are a few talks on Valkyrie throughout the event, so we’ll likely get a summary on its launch and future plans and also some hands-on time with the current release. The most interesting item on the schedule is the Chaos Project Room, in which CCP plans to show off some brand new projects it’s been working on that could be VR-related. Last year we saw the formation of a new VR Labs division within CCP and got to try out four interesting tech demos, one of which was later polished up and released as Gunjack. CCP has since secured a $30 million investment for VR, so there’s sure to be some more VR demos to play this year. I’ll also see if I can get an update on the DUST 514 PC reboot codenamed Project Legion that we learned might be in development limbo last year. This year’s Fanfest schedule seems to focus quite heavily on player-led panels and feedback-gathering roundtable events. The Friday slots are absolutely packed full of hour-long talks from players who are experts in various topics. There’ll be presentations on life as a fleet commander, wormhole space, the new player experience, the mysterious drifter faction, the economics of war, tips for Valkyrie pilots, and a lot more. Of particular note is Thursday’s presentation from EVE historian Andrew Groen, who has recently released his kickstarted book Empires of EVE: A History of the Great Wars of EVE Online. A series of roundtable events will be running throughout Friday and Saturday, giving EVE and Valkyrie players a chance to voice their concerns and pitch ideas directly to the developers. I always make a point of attending some of these as they aren’t streamed and often contain useful nuggets of information that aren’t revealed elsewhere. They also give a good sense of what players are thinking and what direction CCP is going to go with certain features in the long term. The capital ships and nullsec roundtables on Friday are likely to be packed and extremely interesting given the activity in EVE‘s recent war, so I’ll definitely try to make it to those. Saturday has roundtables on everything from wormholes and PvE to the new player experience, so some of those will also be well worth checking out. EVE Fanfest 2016 is just days away, and we’ll be on the ground to get the latest on EVE Online, Valkyrie and CCP’s brand new projects. 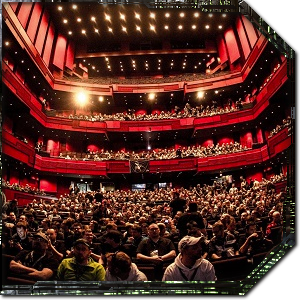 If you aren’t able to attend, you can tune in to CCP’s official livestream from home when it begins, and you can follow our coverage at the EVE Fanfest 2016 tag here on Massively OP and @nyphur on Twitter. If there’s any specific talk or event you’d like to me to check out while I’m there or a particular question you’d like posed to developers or players, let me know in the comments! Toanstation With all the war stuff going on I think the Amarr Championships has been somewhat overshadowed. It’s a really interesting story arc and event though, I’ll definitely see if I can squeeze a news post in about the finals. @ http://www.livefyre.com/profile/72403007/ ty for mentioning the New Eden FPS. Make sure to use your directional scanners heh. As of late I have taken my first steps(noob steps) into PvP in Eve. It is addicting. Have fun at fest. Tell the Space Pope that New Eden is burning LOL. Dixa but they act and talk so nicely in the fan fest. No plans to cover the Amarr Championships Finals on Friday night? It’s a pretty unique event worth covering. Also something that hasn’t gotten tons of coverage here already. 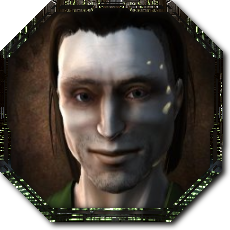 I agree with Alice Roosevelt Longworth “If you haven’t got anything nice to say about anybody, come sit next to me.” so can you get a comment from CCP Rise about Gevlon Goblin? I expect a gathering of players that are all friendly when face to face when just the day before they were telling them to kill themselves in the game, never knowing the difference. After all, it’s a lot harder to punch someone in the throat for being a sociopath over the net than it is in person. I expect a room full of sociopaths. When is “soon” for 10K SP dailies? Any timeframe on non-ratting ways to get 10K? Can you get us some unofficial sense of when manufacturing & research will be showing up in Citadels? And will it be more like existing system, but in Citadels? Or new and /shudder “improved”? Palatine XL Citadel: is it really just CCP trolling/challenging the players? When do the attendees think the first will be built, if ever? What % of trading do you/ccp/attendees think will be in Citadels? Are citadels A Big Deal or just a way to allow all the outdated code in POS to be retired? Hopefully, they are too smart to say publicly, but Devs having looked at the FaceBook, Valve and Sony VR, what are their thoughts on them, especially relative to each other. Ofc, any WWB status reports or predictions!